Ruth Bader Ginsburg has issued an apology for her recent remarks about malformed traffic cone Donald Trump. Last week, everyone’s favorite Supreme Court Justice broke the court’s long-standing custom of refraining from clear political speech to indicate her displeasure at the possibility of a Trump administration. 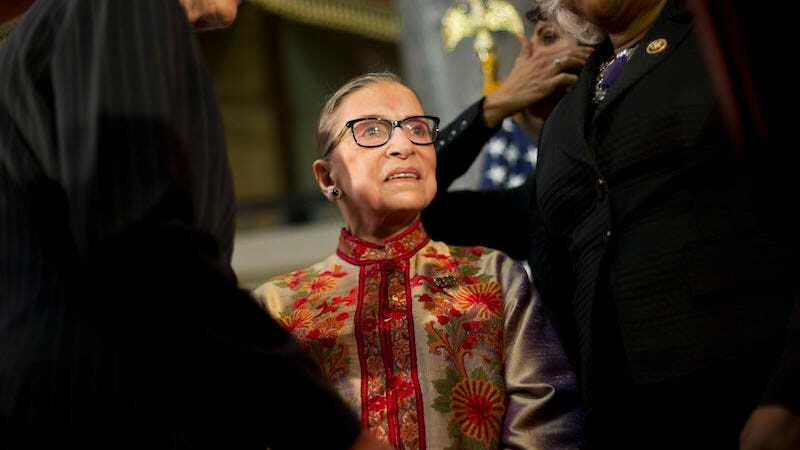 “I can’t imagine what this place would be—I can’t imagine what the country would be—with Donald Trump as our president,” Ginsburg told the New York Times. Ginsburg’s statement led to a Twitter fury (stoked by Trump himself, naturally) and a handful of thinkpieces over whether or not she was acting appropriately. On reflection, my recent remarks in response to press inquiries were ill-advised and I regret making them. Judges should avoid commenting on a candidate for public office. In the future, I will be more circumspect.